Home→All posts→Smash Up All Stars! ← Mystic Vale Event Kit! 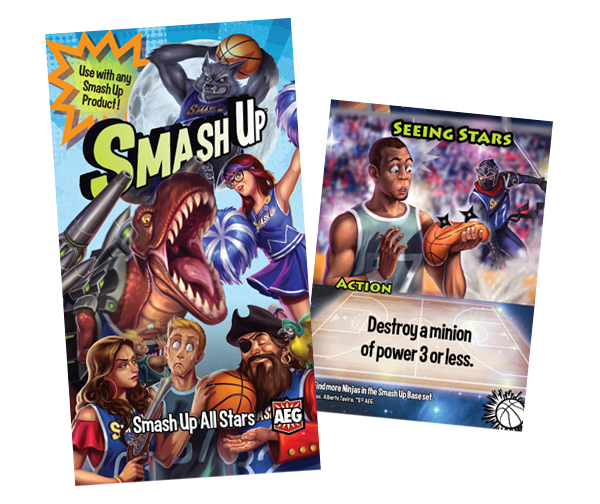 Saturday, August 12th, at 1PM, we will be running a special event for Smash Up giving away a new faction of All Stars. The event costs $10 and we only have room for 8 people! You can pay online or in store to have us hold your seat. The winner will receive a Smash Up bag with wooden tokens to track your points. After you play your first game, we will give you the new faction pack. If you are late, we will try to sell your seat and reimburse you. Keyforge Chainbound Sealed Deck Event!